Fine and Dandy. – Dirty wet dog , boats and sailing. During the time that i kept WABI” on a swinging mooring in the Hamoaze or at Huggins yard in Torpoint one of the easiest things to was leave the mooring or my mud berth on the flood, carry that up past Saltash and turn the corner into the Lynher past beggars island and the RN sea school at jupiter point. On the northern shore there is a very useful anchorage at sandacre bay where i often lay-over for a tide as nowadays i am coming downstream to the same point and usually on the ebb. Anyway : continuing up the Lynher past shillingham point and wearde quay (great name) and there is one of the best anchorages in the south-west at Dandy hole just in the major turn in the river before St Germans . There are 2 distinct deep water ‘holes’ in the seabed there and enough space for a line of half a dozen boats just in the deep water : it does get crowded though on a busy bank holiday and not all boaters are smart about their anchoring ! 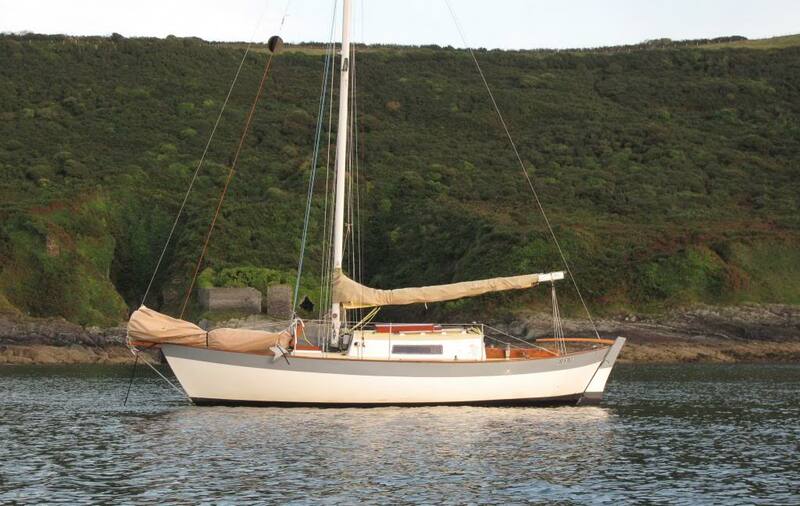 With the Frances i always used to try and get a good spot in the deeper water and then anchor with a bahamian moor…works well in that situation. The day i got that picture i had raced the 2 classic vertue’s up the river and i must say shown them a clean pair of heels : probably why they didn’t want to talk to me afterwards !. The deep water is up against the height of land on the southern side and the obvious point to aim for is the highest tree on that side : just off there and hunt across the river a bit to find the best spot. On the inside of the bend is predictably shallow water. Nowadays with the Libery i don’t use the deep water spots (no need to) so i leave those for the deep keeled yachts and head around the corner about where the small motor boat is in the above picture. I can just about stay afloat even tucked-in against the shore but quite often i will anchor over the mud and just dry out for a while…usually only a couple of hours at most.